We’ve Got You Covered with One Million Square Feet of Steel Plate Inventory, and the Best Equipment and People in the Industry. 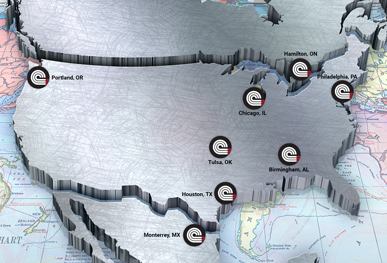 Chapel Steel has several distribution facilities located strategically throughout the United States, Canada, and Mexico. 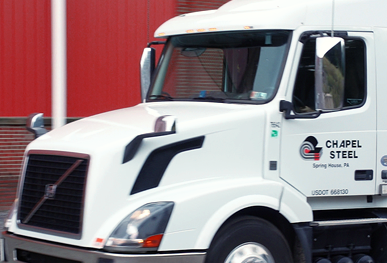 This allows us to provide our customers with the fastest lead times in the industry. We place a high emphasis on the quality of our product as well as the satisfaction of our customers. With a customer satisfaction rating of 99% you can rely on Chapel Steel to deliver a high quality product that will meet your specifications. Dynamic Solutions. Dependable Service. Since 1972. Our Specialty, Our Expertise, Your Benefit. Chapel Steel is one of the nation’s largest distributors of carbon, high strength, abrasion resistant and specialty grades of steel plate. We are an industry leader of value-added services supporting a vast customer base of end use markets. Our innovative approach means you get the benefit of state-of-the-art technology coupled with personal, professional service. This approach results in a business partner that strives to meet your needs in order to help your business grow. The Machines That Can Do It All. 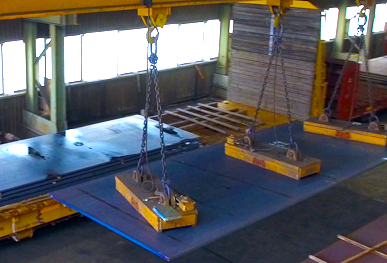 Chapel Steel offers a wide range of steel plate processing capabilities to accommodate your needs. These services include plasma and oxy-fuel cutting, beveling, drilling, tapping, milling, counter boring, plasma etching, custom forming, and shot blasting. We also offer inventory stocking programs that allow our customers to reduce cost by eliminating warehouse storage needs while having the flexibility to quickly and easily navigate between products and production cycles. These services are paired with over 45 years of expertise in the steel servicing industry. The Latest Technology Delivered with Old School Service. 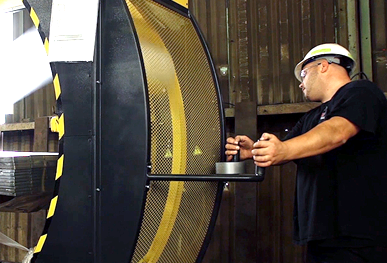 Chapel Steel is proud to deliver advanced technological capabilities with the traditional customer service you deserve. We take pride in our ability to understand our customer needs and provide viable solutions for a complex world. Chapel Steel continues to invest in equipment that adds value to the products that drive your business.